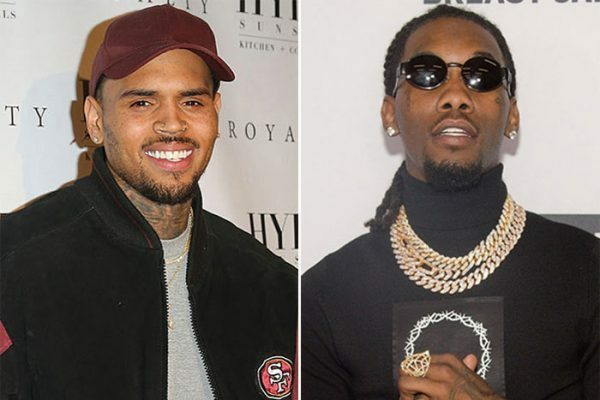 Chris Brown has lashed out at Offset and challenged him to a fight over rapper 21 Savage who got detained in US for overstaying his Visa. Since 21 Savage got arrested, many Celebrities have lent their voice in support for his release. Some of them include Nicki Minaj, The Game, Jay-Z (who hired extra lawyers to help the rapper in the case). Reacting to the news, Chris Brown took to Instagram with a meme in mockery of the situation to the anger of Offset. Offset who is a friend of 21 Savage reacted to Chris Brown’s post by calling it lame.